Valentine’s Day is only a week away! 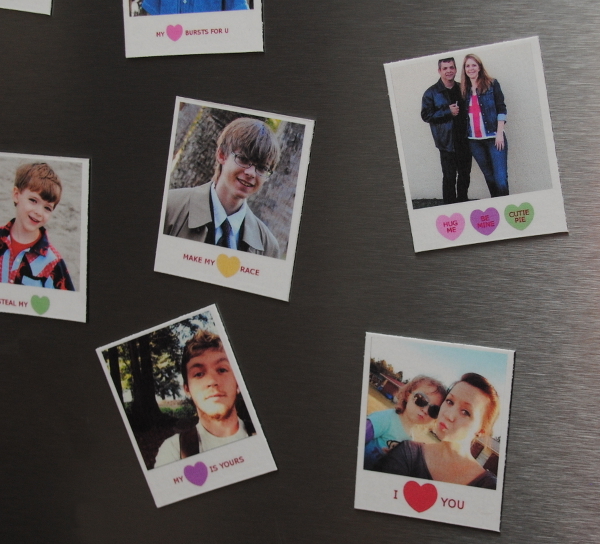 These cute little mini Polaroid-inspired magnets are a great personalized gift, and they’re really simple to make. I made two sets as Christmas gifts this year – one for my mom and one for my mother-in-law, and they were well-received by both! 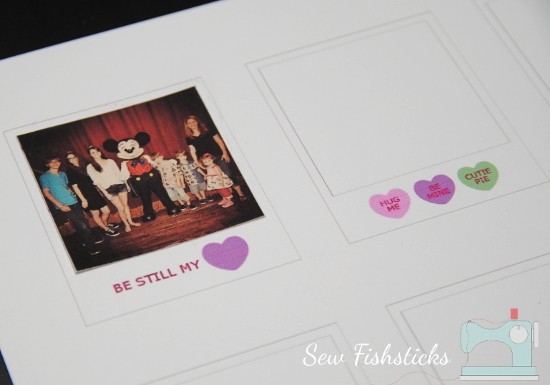 I’m including two different templates – one with fun Valentine’s Day sayings and one plain one that you can leave as is or add your own little love notes! 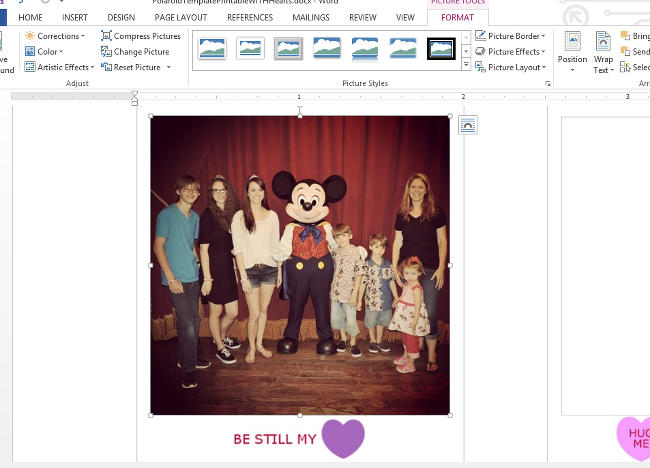 There are two ways that you can add your photos to the template. 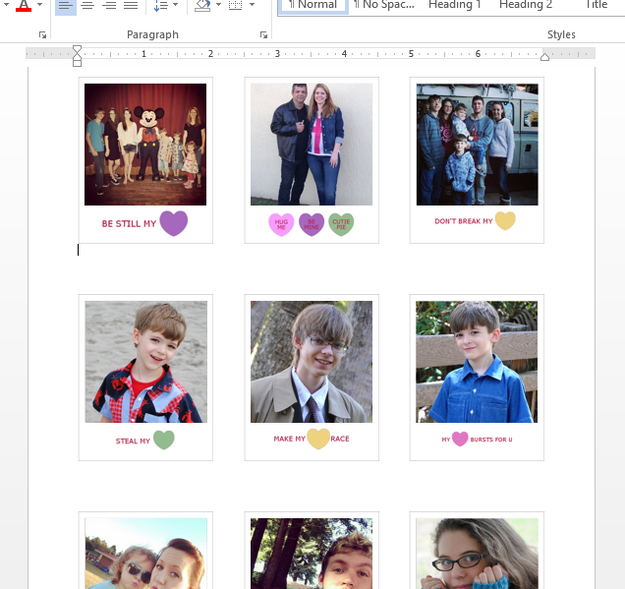 The simplest way is to print the PDF version of the template on card stock or photo printing paper: Valentine Sayings or Plain, then print your photos or cut your photos to fit. Be sure to print the template at 100%. 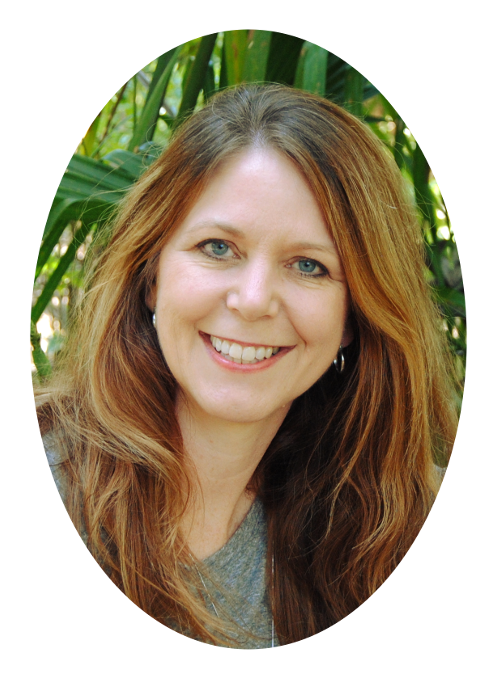 Your photos will need to be trimmed to 1 7/8″ square. (Instagram shots are perfect for these!) 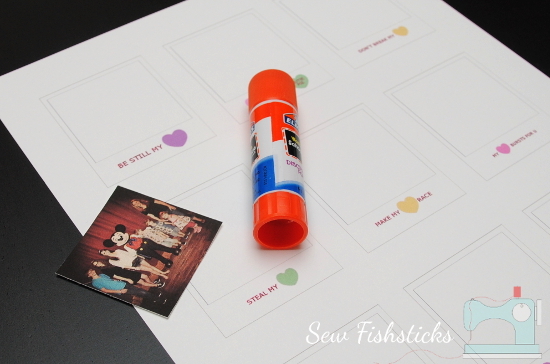 Use a glue stick to affix your photos to the printed template, being sure to cover the gray lines of the square completely. 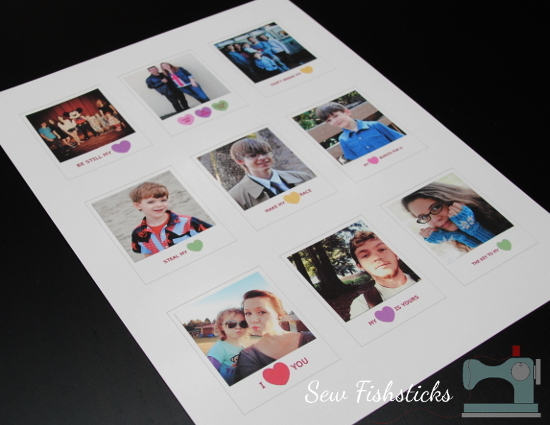 Alternately, you can incorporate your photos before printing. (I prefer this method because it gives a smoother finish.) 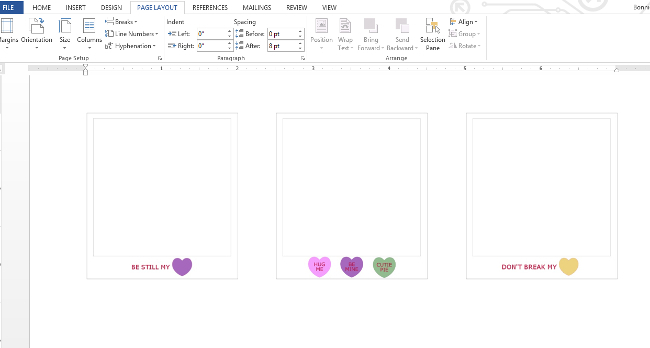 Start by downloading the MS Word template: Valentine Sayings or Plain. Prepare your photos using Gimp or Photoshop or another photo editing program. Crop and scale each photo to a 1.825″ square. Open the MS Word document. 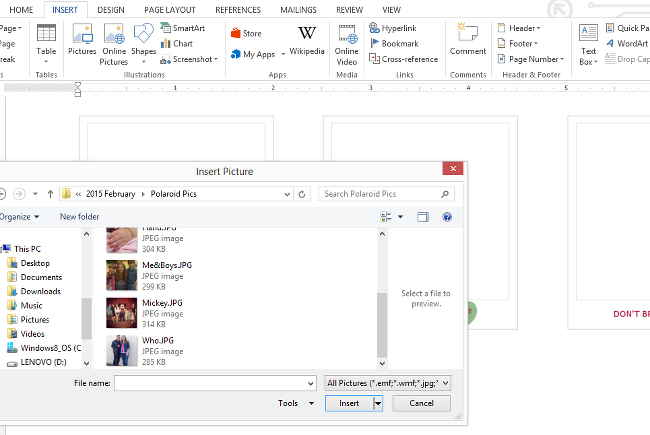 Click on Insert, then Pictures, then select the first photo that you would like to use and insert it into the document. 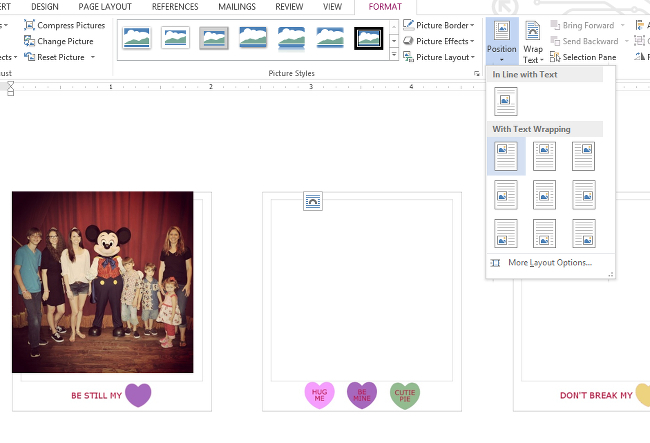 Now select the Format menu, then Position and in the drop-down menu click on the first photo under “With Text Wrapping”. Now click and hold down your mouse while you move the photo into place. This last step is best done zoomed in so that you can see the gray lines well. Be sure that the photo just covers the gray lines of the square. 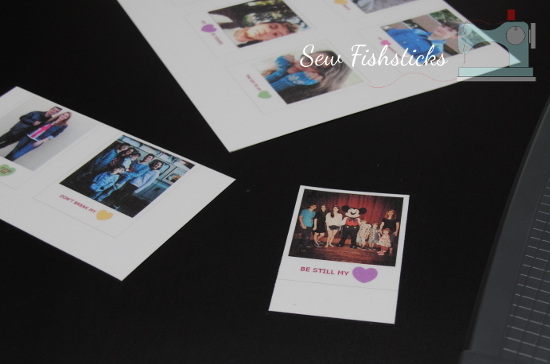 Continue to add your remaining photos in the same manner. 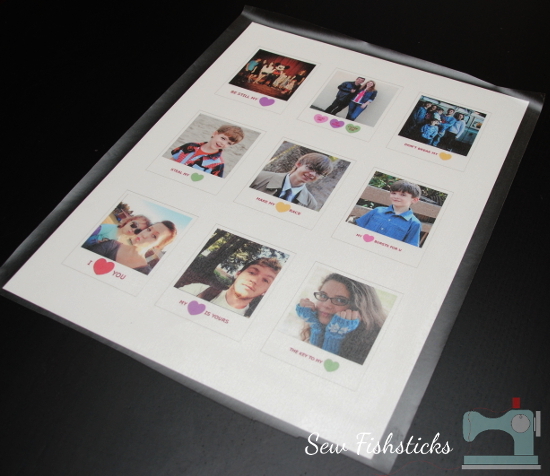 Print your photo sheet on card stock or photo printing paper. 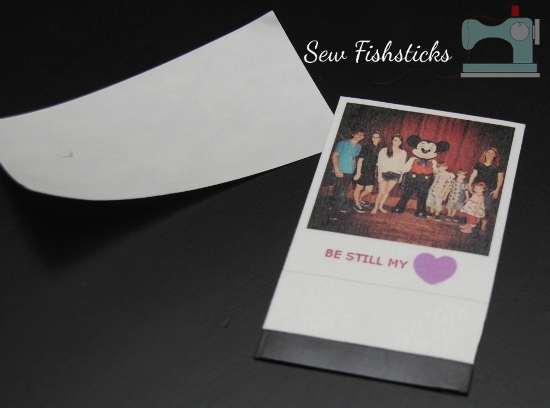 Laminate the photo sheet or cover the front with clear Contact paper. 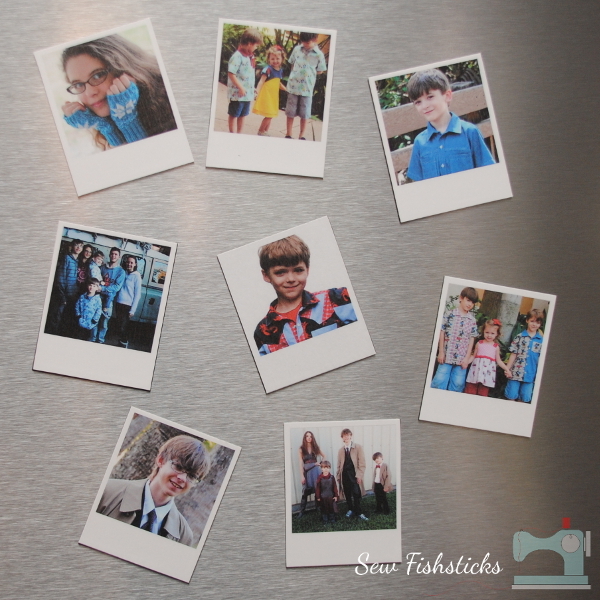 Trim each photo along the gray lines on the top and the sides, but leave extra space at the bottom for now. 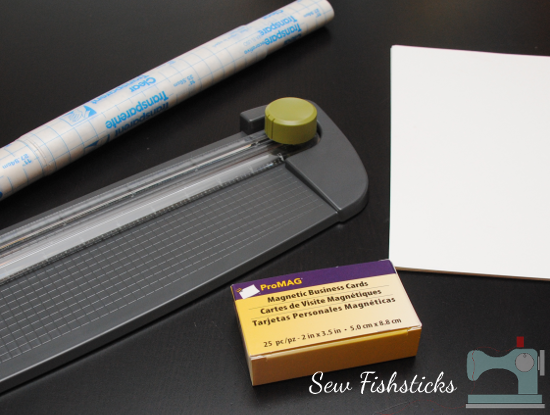 Remove the backing paper from one of the adhesive magnetic business cards. 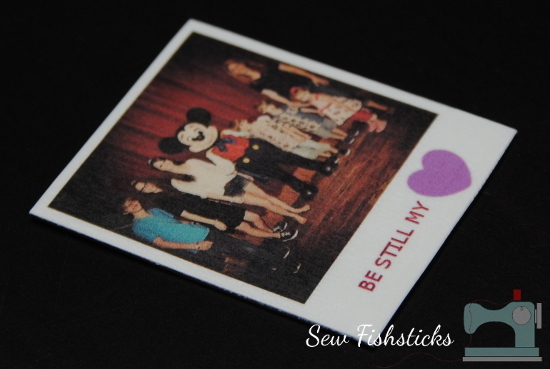 Align the top edge and sides of one trimmed photo on the magnet and press well. (Be careful to line up properly. These are permanent once they’re stuck!) 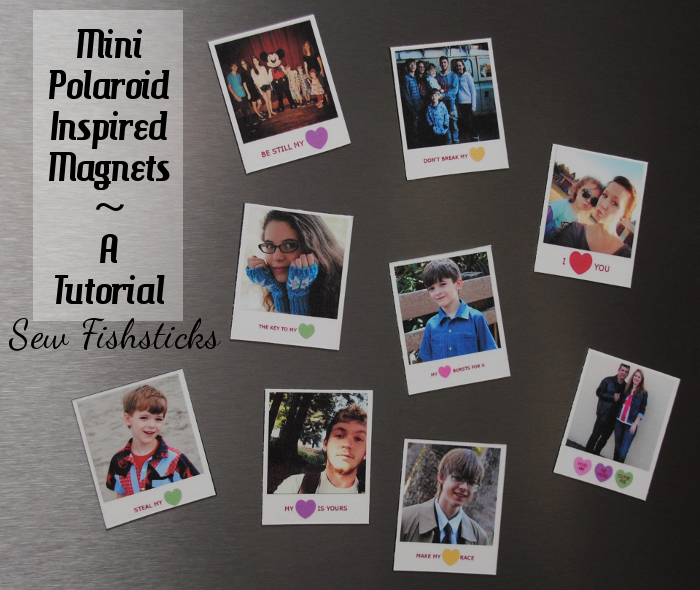 Trim away the excess photo and magnet, and your first mini Polaroid-inspired magnet is done! Complete the remaining magnets in the same manner. 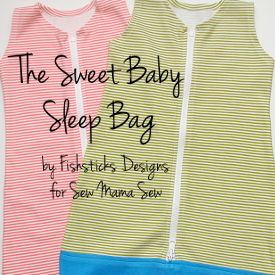 Wrap them up and give them to your Valentine! 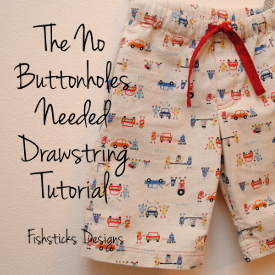 I am trying to make the Hide ‘n Go Seek Reversible Hoodie for my grandson, size 3 and I am having a problem finding a reversible separating zipper, do you have someplace to order such a thing? 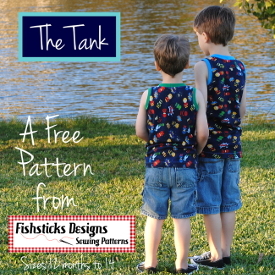 I am in Helena Montana and our Joann’s Fabric and our Ben Franklin stores do not carry them or the ribbing needed for the cuffs and around the wrist. Please let me know if you can help me find these items. I’m sorry your local stores don’t stock what you need to complete your grandson’s Hide ‘n Go Seek Reversible Hoodie. I have a few links for you that will help you purchase the last few supplies that you need. There are of course other purchasing options, these are just a select few to help narrow down your search! 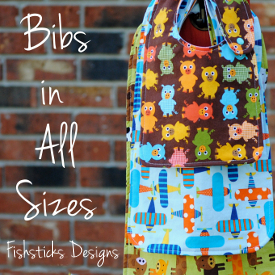 If you need anymore help or links, please feel free to email me directly at leigh@fishsticksdesigns.com and I will be glad to help you in any way I can!